With the enactment of the new federal Every Student Succeeds Act (ESSA) and forthcoming regulations, states and school districts are poised to re-evaluate their current efforts to provide a high-quality education to all of their students. But while many recognize the outsized influence teachers have in helping students succeed, many continue to struggle with how to ensure that all students have access to excellent educators. 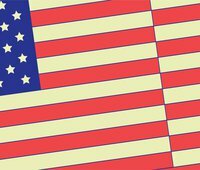 Most states and districts had begun efforts to put new teacher evaluation and support systems in place that could improve the quality of teaching before ESSA removed any federal conditions around these systems. Now, some are reassessing how to move forward with these efforts and how to utilize ESSA funds available for improving the quality of teachers and leaders in their schools. Historically, states and districts have largely invested in teacher professional development or “PD”—ranging from one-time workshops to collaborative peer learning communities—as the primary strategy to help teachers improve their practice. Despite its potential, in its present state, PD has gained a poor reputation among educators and those who study education, in part because little evidence exists that the significant investment of time and financial resources in PD has been consistently impactful. What is keeping PD from having its promised impact? Should states and districts be looking at other strategies for raising the quality of teaching for students? 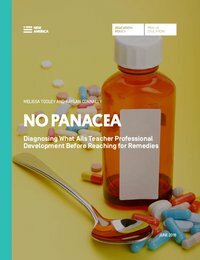 In a new report, No Panacea: Diagnosing What Ails Teacher Professional Development Before Reaching for Remedies, New America identifies key obstacles that prevent PD from reaching its potential for growing teachers’ knowledge and skills in service of their students. The authors find that these obstacles prevent four elements of a productive PD cycle from occurring: 1) identifying teachers’ development needs; 2) selecting aligned, evidence-based PD approaches; 3) implementing approaches with fidelity; and 4) assessing outcomes. The authors argue that these obstacles are reinforced by challenges in the professional culture experienced by many teachers. They also highlight how federal, state, district, and school-level actors all play a role in contributing to these obstacles and professional culture barriers, as do educator preparation programs.